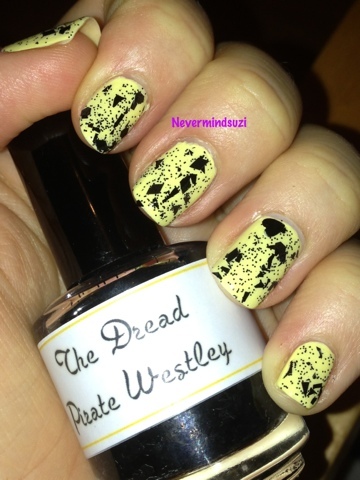 I've got 2 lovely polishes for you today. 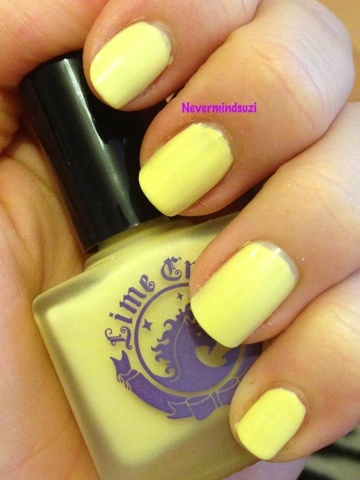 Lime Crimes - Creama De Limón which is the perfect pastel yellow! No streaking, smooth and fully opaque after only 2 coats! Isn't it stunning!! 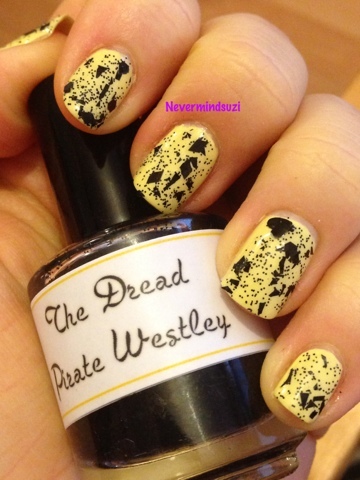 LynBDesigns - Dread Pirate Westley is a clear base full of black glitters, hexes, shards, diamonds and hearts. The 2 together make a gorgeous combo!